I’m apoplectic with rage if a person answers “Oktoberfest” as their first and only thought when asked what they think about Germany. I’m very fond of the country and her people; so I can be defensive when it comes to my “adopted” Deutschland. Yes, the people can be a little ornery, but break past their gruff orderly fastidious exteriors, and they are a lovely warm and generous people. Sounds a lot like you and me, doesn’t it? 1. I’m in Berlin to catch sunset’s silhouettes on Strasse des 17. Juni. In Berlin, a ride on the upper-deck of either the 100 or 200 city-bus from Zoologischer Garten station will take passengers through many of the sightseeing and talking points of the German capital. Where the city’s Tiergarten park is concerned, many stop at the Zoo, Brandenburg Gate, and the Victory Column (Siegessäule). Taking the time to see the Gate and Column colourfully illuminated at night are also worthwhile, but I like my silhouettes, too. Click here for more about the photo below. Love story number 3 (HL). 2. I’m in Hamburg to check what’s on store in the Speicherstadt. 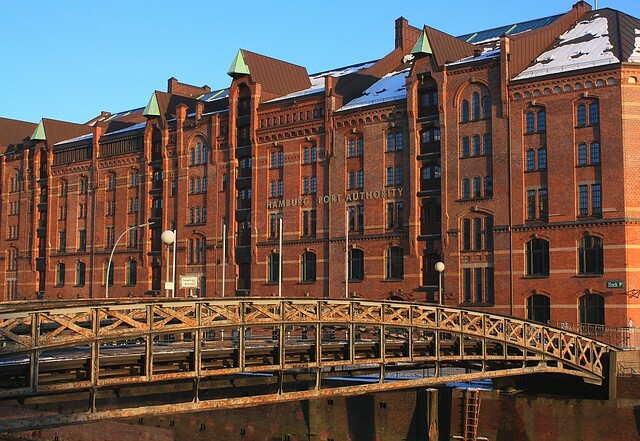 Adjacent to the river Elbe, Hamburg is a port-city with historical links to the Hanseatic shipping league. The Speicherstadt (Warehouse District) consists of 19th- and 20th-century brick warehouses, like proud markers of an island oasis on the Elbe. If you’re interested in spices, the Spice Museum is where you can learn about how spices arrived and were traded within Europe. Today, most of the harbour activities occur on the southern banks of the Elbe in the Hafenstadt. 3. I’m in Köln for my favourite Turkish food. An important thing I’ve learned from friends in Köln is the quality and variety of Turkish food. I’ve always tried to visit neighbourhoods where resident German-Turks go for their favourites. Whether it’s in Mülheim, Hansaring, or the “Zülpi” (Zülpicher Viertel), it might be hard to pin down the best places to eat. Ultimately, Ehrenfeld, my “Kölner Kiez,” has got my kind of food. A plate with Döner meat or grilled Lambspiess accompanied by rice and salad is a good way to start, and a serving of Künefe is a great way to finish. Click here for more drooling. 4. I’m on the North Sea coast to gaze out into the open sea. It’s easy to forget Germany has access to open seas which are an important part of the nation’s history and Hanseatic traditions. About an hour north by train from Bremen, I’m at the coastal town of Cuxhaven to begin exploring the Wadden Sea (Wattenmeer). The area includes coastal mud flats which are vital for conservation efforts of local wildlife. The site’s importance has been recognized as a UNESCO World Heritage Site. 5. I’m up top at Zugspitze for big mountains and big skies. Although the tallest parts of the Alps are located in neighbouring countries, the view from 3000 metres (9700 feet) on the German side remains impressive. The ascent to Zugspitze is worth the trip on its own, whether by cogwheel railway from Partenkirchen or by gondola from Eibsee. At the summit, you can easily pass between Bavaria, Germany and Tirol, Austria. If you squint your eyes on a clear day, you can see all the way to mountains at the Austria-Italy border. Click here for the ascent. Have you visited Germany? What are your favourites from the country? Please leave your comments below! I made all of the photos above in the D-land. This post appears on Fotoeins Fotopress at fotoeins.com. OK, I’m drooling — had to click on the link. I love the sampling of your German favorites. I love Hamburg and I’ve never been able to articulate the reasons. I just do. The warehouse district is very cool. How in the world did you get that pic of Zugspitze? Looks like you’re way above the top. And Berlin …. fab photo! Hi, Catherine. I need to set foot in Turkey, for the people, their history and culture, but especially for the food (naturally). My German-Turkish friends have always said Turkish food in Germany is made for the German palate, which isn’t generally adventurous by way of spice. Having said that, the best I’ve ever had has always been in Köln, as those photos attest. 🙂 In many ways, Hamburg’s location isn’t really all that special, but the layout, its architecture, and what they’ve done to riverfront property make the city a lot of fun to visit and experience. I especially love the Warehouse district; there’s a lot of anticipation for the HafenCity construction to the south. I got that shot from Zugspitze with a long (70-300mm) lens, so it looks like I’m “hanging” over the edge. Thanks again for reading and for your very kind comments! I’ve wanted to visit Germany for years, but not for Oktoberfest. Obviously, there’s so much more to experience. I want to start with the Black Forest. Hi, Leah. One of the areas I haven’t visited as much as I’d like is the Black Forest (Schwarzwald). If you know Alison Garland and Andrew Couch, they call home the city of Freiburg im Breisgau, which is a good starting point to visit the Black Forest. (They’re both presently in Berlin as of writing.) If all people want out of their German experience is Oktoberfest, all the power to them, but folks are definitely missing out with a lot more to experience in the country, as you’ve correctly pointed out. Thanks for reading and for your comment! My great-great grandparents came from Hanover in 1870s, so I’d love to go to Germany to experience part of my heritage. As much as I think festivals can be fun, I don’t feel it’s a true way to experience a city. So I’ll pass on Oktoberfest. I’d rather enjoy beer without the thick crowds. Hi, Lance. In truth, I think it’s worthwhile to see/visit Oktoberfest once, just to see it and to say you’ve been there. There are some fun aspects, and there are not-so-fun aspects – but that’s no different to anything else about travel. I think it’s a little ambiguous for Müncheners to know what they feel about the big beer festival, but there’s a lot to that city that has zero to do with beer and Oktoberfest, too. Also, you might consider a visit to Bremerhaven and the German Emigration Center (http://www.dah-bremerhaven.de/), especially if your ancestors from Germany emigrated directly to the U.S. Their records are *extensive*, and they have an “open library” where people can drop in and look for their roots. Thanks for reading and for your comment! Beautiful shots! The food made me hungry. Time to think about breakfast here. I share my office with a German. I’ll have to show her this post. She’ll probably get homesick! Hi, Nancie. It’s a great compliment when people say they get hungry just by looking at photographs on a flat screen. I feel it would be an even greater compliment if your officemate gets hungry (or longs for home) after they see pictures of food commonly seen and consumed in Germany. Thanks for reading and for your kind comment! Wow!! You are definitely inspiring me. I have only been to Germany for Oktoberfest 😉 and a quick visit to Berlin, which I loved. I really must get back there. Hi and thanks, Sharon! I’m a big fan of Germany, and I feel it’s a personal cause of mine to convince people the country offers a lot more than the easy stereotypes. If you enjoyed Oktoberfest (and Munich, too, hopefully) as well as Berlin, you all are in for a good treat not if, but when you return. 😉 There’s lots of stuff written about the country, but if you’ve any questions, I’ll be happy to answer the best i can. Thanks for reading and for your kind comments! We were in Munich and some parts of Bavaria this past summer and fell in love with the country and its people. I’m not a beer drinker so Germany has always represented castles for me. We would love to return and explore other parts of Germany. These are some beautiful photos and such great inspirations to see these other cities. The food here looks delicious! Hi, Mary. Despite the stereotypes against Bavaria, I agree there are beautiful spots around Munich and throughout the state. I love mountains, so a trip into the “lower Alps” is a great place to start. Did you visit the castles at Lindau and Schwangau? I hope you all go back and visit Germany soon! Thanks for your kind comments, and thanks for reading! 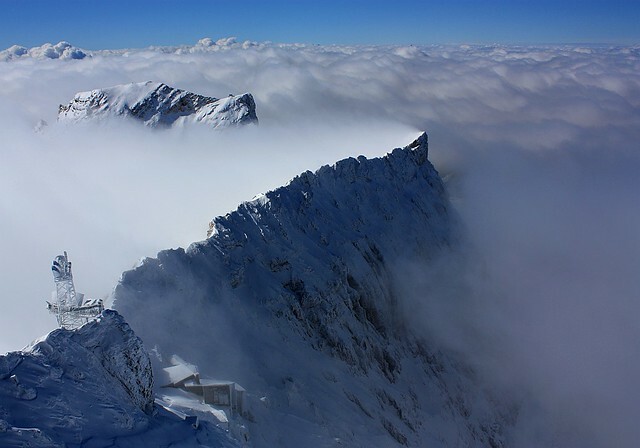 Very nice shot from Zugspitze. Hi, Bob, and thank you! I was fortunate to have witnessed the aftermath of (one of) the first snowfalls of the season when I visited. I think my favorite parts of Germany were the Black Forest, going clubbing in Berlin, and shopping for metalhead essentials in Dortmund (and Berlin). I need to get back to Germany one of these days. I want to see more of the Rhein and more castles. Hi, Nikki. I like the diversity you find in Deutschland. My hope for you is a return not only to Praha, but also back to the big D, where perhaps a regional-train along the river bank or a boat-trip on the Rhein as you hop from castle to castle may be in store for you. 🙂 Thanks for reading and for your comment! Hi and thanks, Erik. I think that’s the motivation any writer has when they put fingers onto their keyboards (‘pen to paper’): inspiration for more contemplation, for future action? You’re dead on with that question: it’s precisely the kind of reaction I want. 🙂 Thanks for reading, and for your kind comment!